It has been nearly 15 years since the last Concorde flew. Now, NASA wants to bring back supersonic flights for passengers. NASA wants to bring back supersonic flights for civilian passengers, and has roped in Lockheed Martin to build a demonstrator. It will also test the aircraft to make sure it has a low sonic boom — the main goal of this project. NASA says that its next-gen aircraft will bring the boom down to a "gentle thump". Lockheed Martin (LMAC) has been awarded a cost-plus-incentive-fee contract valued at $247.5 million, noted a release by the space agency. As per the contract, LMAC will have to complete designing and also build an experimental jet called the X-plane. This plane needs to cruise at an altitude of 55,000 feet (commercial jets cruise between 33,000 and 42,000 feet) and reach a speed of over 1,512 kmph (commercial jets cruise between 878 and 926 kmph). At that speed, NASA wants the aircraft to make a sonic boom that is about as loud as a door being closed. The space agency expects the demonstrator to be delivered by 2021, after which it will conduct further tests to make sure the technology does work and in fact remains quiet when breaking the sound barrier. Only then will NASA decide whether the X-plane is safe to fly over the National Airspace System. Once it has passed all the requirements set, the X-plane will be flown over select cities and data will be collected from communities and responses taken from everyday people about the flight. This is scheduled to happen around mid-2022. 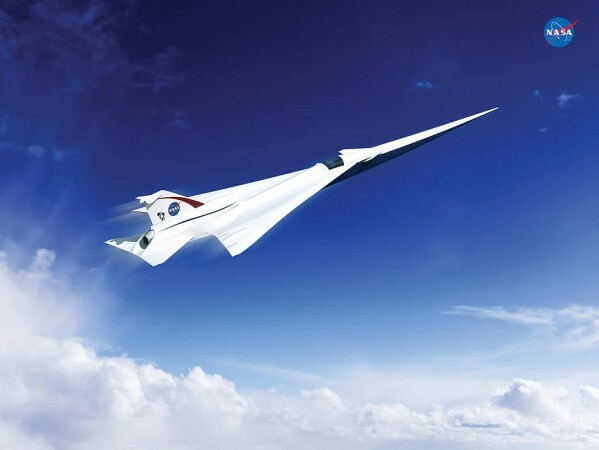 After this, if NASA finds that its targets have been met, it will hand over the responses and data to the US regulators and their international counterparts to consider the X-plane and create new sound-based rules for supersonic flights over land. If the X-plane passes the tests, the age of supersonic passenger and cargo flights might soon return. The last time civilian passengers traveled supersonic was with the Concorde program that lasted 27 years — between 1976 and 2003. The aircraft were able to reach speeds of Mach 2.04, seating up to 128 passengers. They could cross the Atlantic in under four hours. It went out of service mainly because the aircraft were too loud to fly over major cities, and routes were fixed over the ocean. Only British Airways and Air France operated this service.